As we go deeper into January 2017, its time to plan this years sewing. So, this year I picked All the things I want to sew..
…and then I removed half of them. All costumes with lots of pieces/decorations/complicated (and time consuming) elements had to go. Sorry, Not sorry. Then I took a hard and “realistic” (yeah right) look at what was manageable with approx 1-3 hours sewing a week (more, if I could use nap time at its fullest but that’s hardly likely). Then I took a look at my stash (because after half a year of maternity leave you really need to cut back on the excesses, like fabrics) and added that account into the ekvation. And lastly I run everything through the eyes of the “Historical sew monthly” and possible events to come, and tried my best to match everything up. Firsts & Lasts – Create either the first item in a new ensemble, or one last piece to put the final fillip on an outfit. I begun the work on the apron on this fashion plate back in December and it will be both my first entry into 1810-20s (late Regency), and possibly the last piece of this ensemble I can finish this year (even though I would love to make the dress and bonnet as well). And for the purpose of this challenge the apron will be the first item on this ensemble and the last ting to put on before leaving the home. Re-Make, Re-Use, Re-Fashion – Sew something that pays homage to the historical idea of re-using, re-making and re-fashioning. For this one I have two dresses that I would love to re-make to a better fit and perhaps even a better design. This 1780s Robe needs to be fitted better over my “new” stays, and perhaps let out a tad in the sleeves. 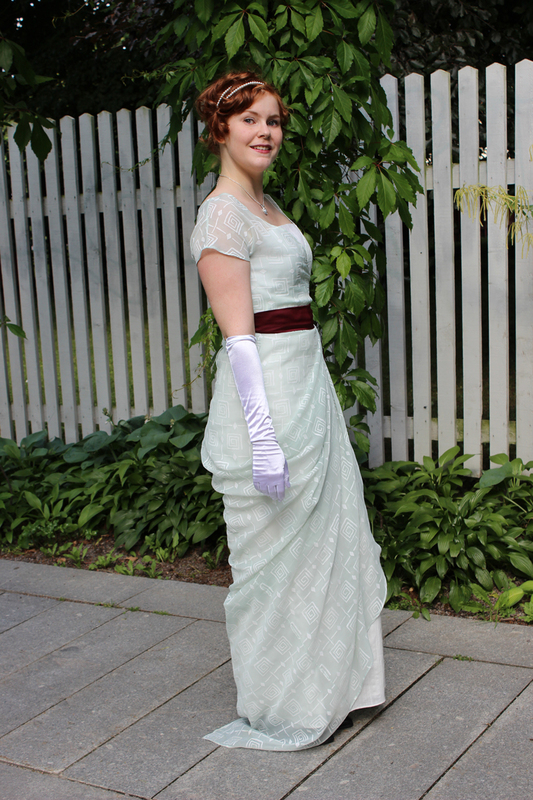 This 1910s evening gown needs a nicer back closure, and I think it would look better with the draping a bit more stitched down and controlled. The Great Outdoors – Get out into the weather and dirt with an item for outdoor pursuits. 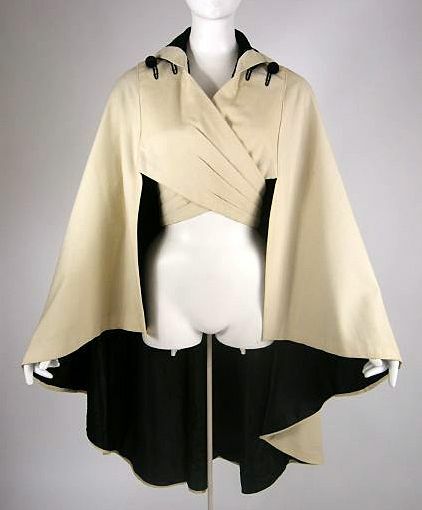 Or this 1910s wrap cape. Beautiful, Isn’t it? 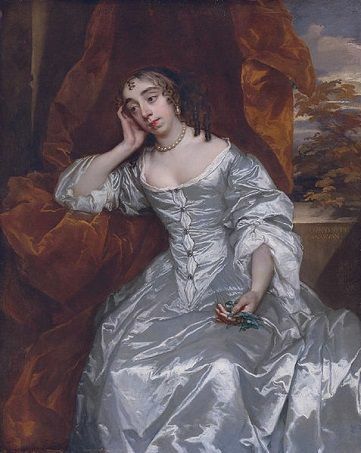 Another thing I’m contemplating is to make a 18th century hair decoration to match the brown Robe Anglaise above. Circles, Squares & Rectangles – Make a garment made entirely of squares, rectangles and circles. 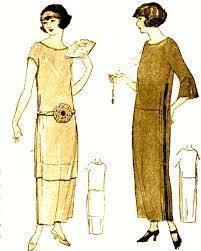 On this one I plan to keep it simple with a Greek Chiton or Peplos made from one/two big rectangles of fabric. 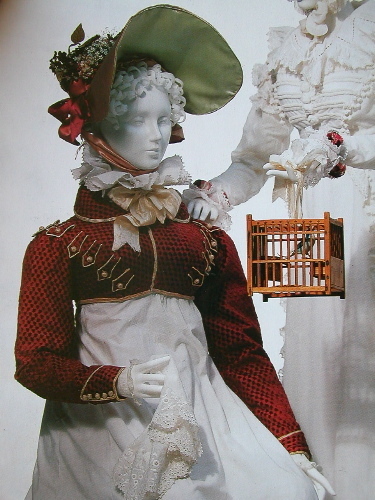 I might also get time to make the frilly 1820s bonnet from January’s fashion plate. Literature – Make something inspired by literature. Also not sure on this one. 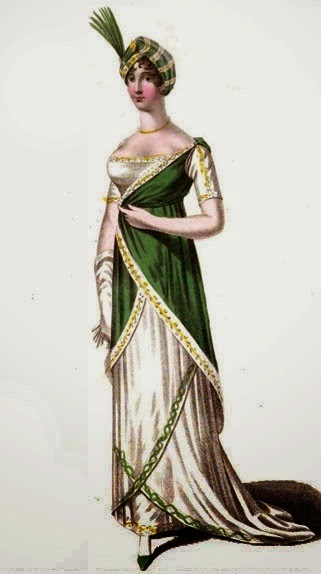 Or a green Regency day dress (or maybe a Pelisse) out of a pretty cotton fabric I’ve been sitting on for a few years now. The literature reference won’t be hard to find on either of them. Metallics – make something in silver, gold, bronze, and copper, whether it be an actual metal, cloth of gold or silver, or lamé. 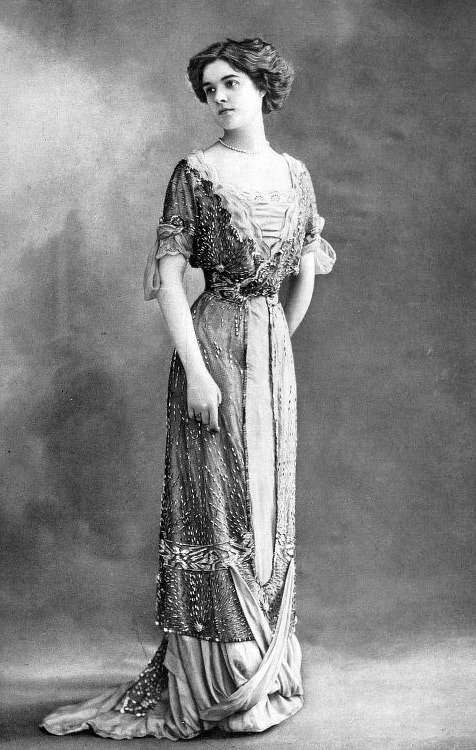 I was planing on making one of these 1-hour dresses from the 1920s in a lovely turquoise jewel toned fake silk, but now that I read the challenge description again I realize that won’t do. Perhaps I can add some sparkle or a nice piece of jewelry to go with the dress, to make it fit the challenge criteria better. 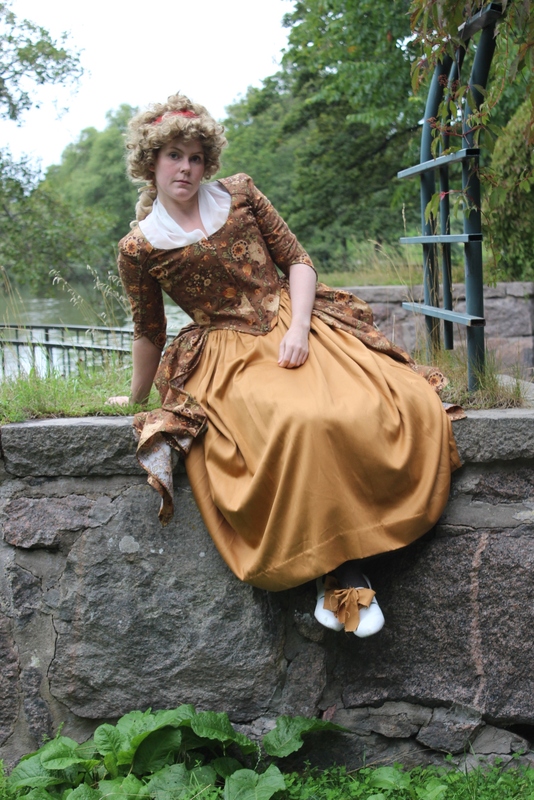 Fashion Plate – Make an outfit inspired by a fashion plate, whether it is a direct replica, or a more toned down version that fits the resources and lifestyle of the character you are portraying. Another Regency piece I’ve been coveting for a while is a greek inspired over robe like his one. For the rest of the year (Aug-Dec) I want to wait a bit to decide what to do, since life and priorities change depending on sewing time/up-coming events or new interests. So the last 5 challenges will be decided later this spring/summer. 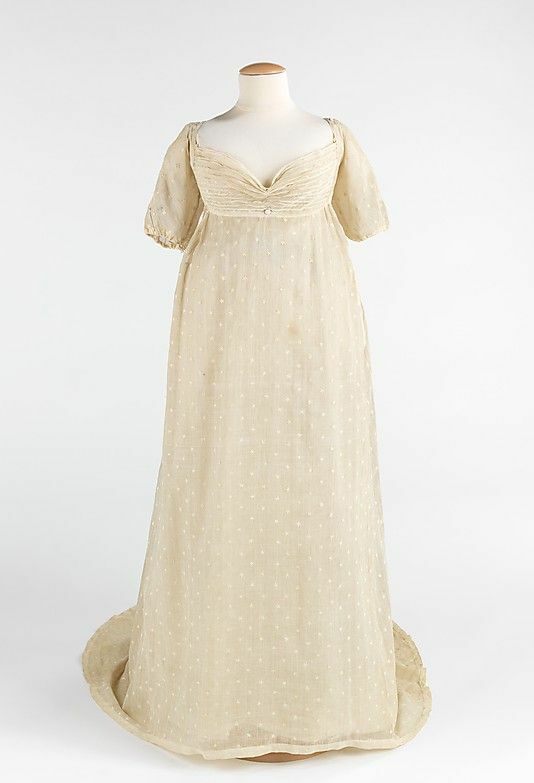 A sheer Regency gown to dress up/down depending on occasion. Of course I also plan to make lots of new baby clothes and perhaps one or two modern dresses/shirts for myself. I like the 1910 wrap cape! Where did you find the image? Are there any more images of the cape? It is summer here in Australia and I would like to make a cape for next winter. I did an image search on google for “Edwardian cape”. Unfortunately I couldn’t find the original source. Best of luck.